Summer food is my favorite part of summer. If I were a teacher, lounging in the pool would probably be the best part, also if I had a pool. But I did not pick the right line of work---I am not a teacher. I don't have a pool either. So, food it is. Food; the best part of summer. Summer always makes me think of grilling out, fresh veggies from the garden, wine, ice cream, strawberries, wine...did I say wine already? 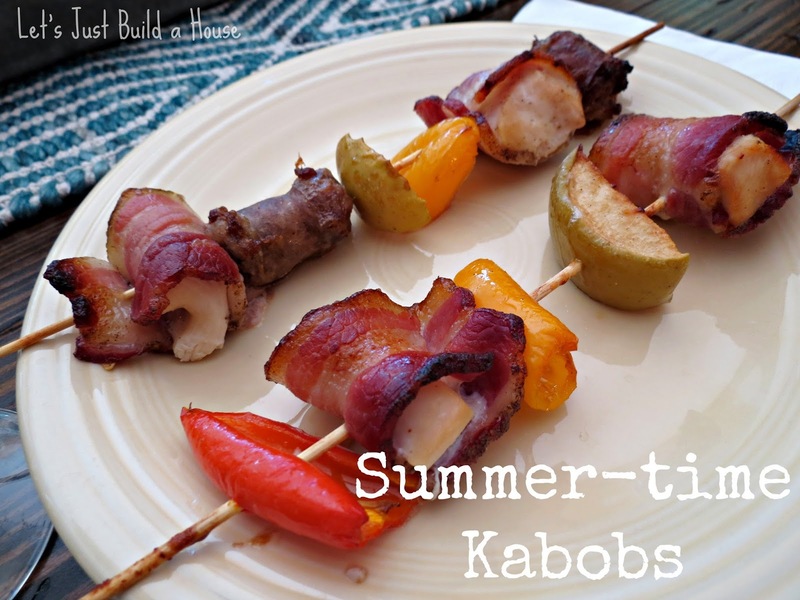 Today I'm sharing a delicious marinade we put on our summertime kabobs. But it's so yummy and scrumptious, you will probably want to brush it on all of your favorite grillin' foods. I pretty much threw together what we had in the fridge for the kabobs. Pork sausage, chicken breast--with bacon wrapped around the chicken. We are serious about our pork in this house. I stuck a few green apples on there too. They were great with the sweet peppers! We brushed on the marinade right before we put them in the oven. It was rainy the day we cooked this meal, so we decided to cook them in the oven. It was not a mistake. Perfect summertime meal. Wine & kabobs. I think they'll be great on the grill too this summer! I made a quick (pinnable!) 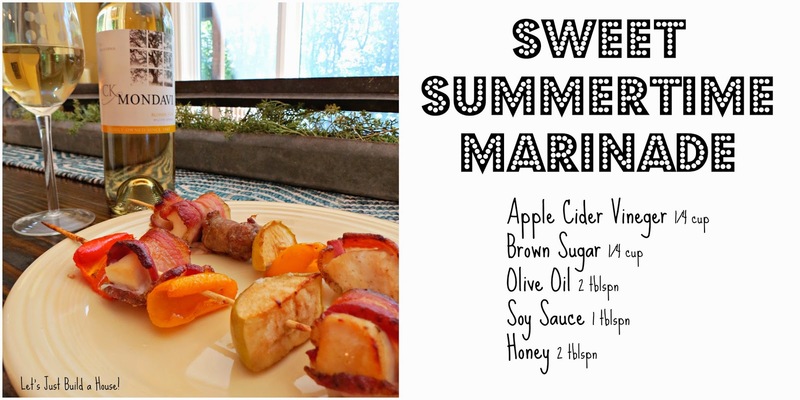 recipe card so you can add it to your summer party food pinboards! Ck Mondavi wines was nice enough to send us 4 of their wines to pair with our favorite summer recipe! 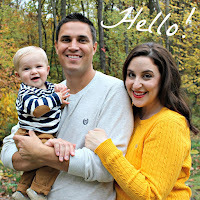 Sometimes, it pays (in wine) to be a blogger! This treat made the kabobs 1,000x better. Honestly, wine makes everything better! Their brand new Blonde Five was my favorite and reminded me of summer the most! I could have finished the entire bottle on my own. It’s light and airy with a hint of pear and honeysuckle. CK Mondavi Blonde Five recommends accompanying spicy chicken dishes, shrimp, and mild cheeses. I was smart to pair my bottle of the Blonde five with a chicken dish…and I have to agree with them! I can’t wait to try the other white wine CK Mondavi offered me. They say to try it with roasted chicken and pastas. I’m a pasta girl, so this one will be next on the menu! Adam is more of a red wine dude. He tried the Cabernet Sauvignon first. This one is a classic red, perfect for a chicken kabob dinner. It boasts a strong cherry & blackberry flavor with a hint of oak. CK Mondavi is the only American made/grown wine in the “supermarket wine under $10” category. CK Mondavi Winery is a family owned and operated business. Made in America! BONUS fun fact: Owner Marc Mondavi was born on the 4th of July and 2014 marks his 60th birthday! CK Mondavi wine can be purchased in every state! Pick it up for this year's fourth of July party! Don't forget to make it with your favorite summer recipe! What will you make? :) you can buy more than one with their prices!! Mmmmmmm now I'm hungry AND thirsty :-) Looks great!! !